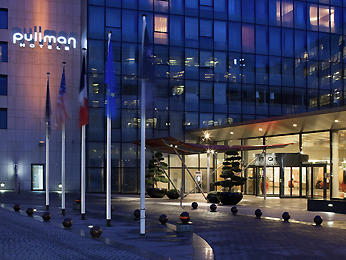 The Pullman Paris Centre – Bercy is a 4-star hotel close to the AccorHotels Arena, Bercy Village and the Cité de la Mode et du Design (City of Fashion and Design). Guests will love the outdoor terraces, the leafy patio, the vibrant atmosphere of the bar and our gastronomic-bistro inspired restaurant. The hotel has 21 meeting rooms, a conference hall seating 300 people and a fitness center with a sauna. Downtown Paris, Gare de Lyon train station and the airports can all be reached directly from the hotel.